All my course (other than bespoke, in-house course and special events) are qualification trainings and carry certification from The Society of NLP. Unlike some NLP training companies that offer no, or some made up certification, or offer qualification simply for turning up, I take certification very seriously. Although there is no test or exam given, you will be continually assessed throughout the course for the required level of skill and appropriate attitude. You may be asked to undertake additional training courses or gain experience before certification is given. Although I have pass rate of over 99%, please remember, attendance is not a guarantee of certification. Set up in 1976 by the two co-creators of NLP; Dr Richard Bandler and Dr John Grinder, The Society of NLP is the oldest and largest NLP quality control and certification body in the world. 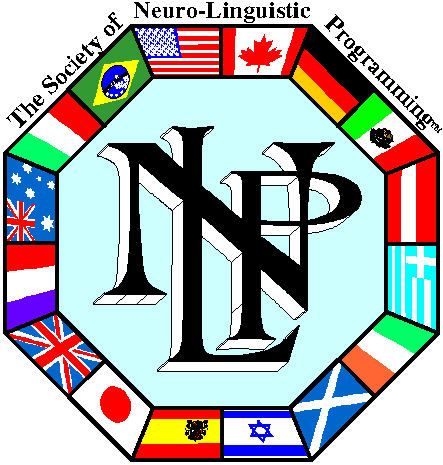 It was the original NLP organisation and still the this day strives for continued development and improved quality in the field of NLP.